Holding, manipulating and investigating materials engages children in a physical activity – movement – that uses their eyes, hands and sometimes their legs. Sensory cues guide them as they begin to develop a perception of the task, an understanding of its basic components and how they need to be manipulated in order to complete the activity successfully. Imitation, trial-and-error and adaptation takes place as the children experiment with the parts and steps of the task. New movement patterns are created and revised perceptions are formed as they store information for use in the future. Kinesthetic learning was defined in a 1992 publication titled, Not Another Inventory, Rather a Catalyst for Reflection, as one of four styles (joining visual, auditory and reading/writing) that we utilize in our quest for knowledge. Typically, adults will learn best through a mix of these styles, preferring one or two above the rest. Children, however, tend to learn most efficiently through their tactual and kinesthetic systems. A child who struggles with handwriting skills could benefit from a vision assessment! Studies have “indicated that many students do not become strongly visual before third grade (and) that auditory acuity first develops in many students after the sixth grade.” In addition, it appears that “boys often are neither strongly visual nor auditory even during high school.” ** This information reinforces the research that shows that many children who are struggling with educational success are hampered in their attempts by instruction that is primarily auditory and/or visual. Young children, kindergarten through second grade, who are experiencing reading and handwriting challenges may indeed be attempting to learn their fine motor skills without the benefit of the motor movement needed to develop the schemas for recognizing letters, reproducing them into words and producing independent writing specimens. Children who have been labeled as behavioral, high-energy or unmotivated could be demonstrating the basic characteristics of kinesthetic learners. They are anxious to get moving and exploring their environment, using their hands to find new information and gather unique experiences. Kinesthetic learners may become bored easily and appear to be ignoring the speaker as they seek out movement and interactive work. They are sometimes able to disguise this as obedient, sitting in circle and “behaving,” when indeed they may be daydreaming about what they would rather be doing. Whichever the case, kinesthetic learners who are struggling with their education can be helped over this hurdle with planning and resources designed to meet their “hands-on” needs. 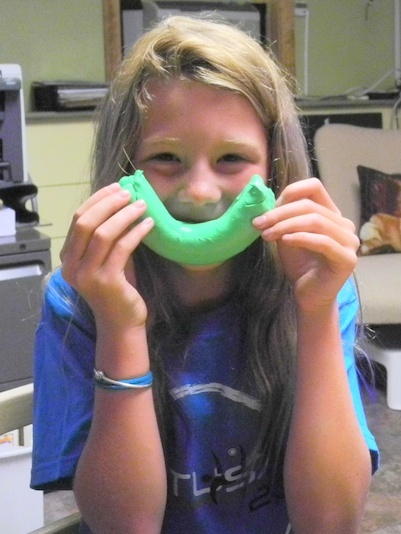 Kinesthetic learners benefit from hands-on and visually stimulating activities! One of the basic steps in learning to read and write is the acquisition of an efficient recognition of the letters of the alphabet. Automatic recall of the sounds, shapes and sizes of the letters is crucial in the development of speed and comprehension in reading, as well as speed and legibility in handwriting. It makes sense, then, to introduce the alphabet with learning strategies that most fit the needs of their predominant learning style – kinesthetic. Pre-writing development begins early as children begin to use their hands and eyes to explore everything that they can reach and touch. They are beginning to understand shapes and sizes as they manipulate a rattle or hold their bottle. Balls, spoons, their hands and feet provide a means by which they discover space, texture and movement. As soon as they begin to smash and rub their food on their tray (or face), they are starting the process of communicating with us. As they pick up their first writing utensil and make a mark on a surface, they are discovering that their movements connect them with the outside world and allow them to create something unique. And this is the very stage in which they will start to expand their search for more ways to communicate through the movement of their hands. Movement – kinesthetic learning – through play is natural for children. Opportunities to explore movement and new experiences in their environment will enhance their learning by providing challenges for assimilation and adaptation. It is easy to incorporate kinesthetic learning into the lives of babies and toddlers because they are kinesthetic learners at heart. Place a lighted toy or colorful ball within their reach, and they will begin to explore it without your assistance. 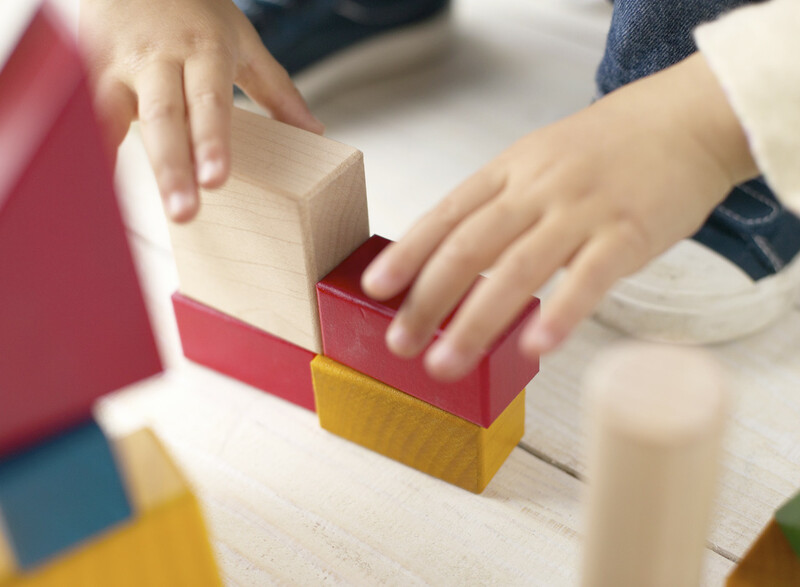 As they become preschoolers, their curiosity and interests begin to take shape and they will seek out activities with movement and tactile input. The introduction of pre-writing skills into the preschoolers’ day does require adult assistance, however, in order to provide opportunities to develop the appropriate fine motor/cognitive skills for letter recognition. Kinesthetic pre-writing skill development engages children in fine-motor movement by utilizing textures, creativity and exploration. Gel bags for tracing the letters, finger paint trays and sensory bins offer them the visual and tactile input while they scribble with their hands in paint or shaving cream or search for hidden letters in a bin of beans. Color and texture work well together for outlining and forming the letters of the alphabet. Textured paper, fabric, play dough and wood pieces become exciting shapes and letters. Guided play, where an adult interacts and helps to create a structure for learning, enhances a child’s development of concepts such as “over” and “under” – basic skills for handwriting. **The link to this study has been removed from the site where it was originally loacated and an internet search was unable to locate the original article. Pictures above that are the property of the author must provide a link when shared back to this article or her website. Pictures that are the property of an outside site should include when shared the link provided with the photo to give proper credit to their owners. Pictures are the property of the owner of the link and the link should be used whenever the photo is shared.